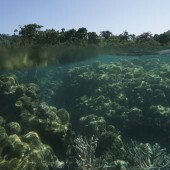 Sign up for a Fun Dive in the tropical paradise of the Andaman Islands. 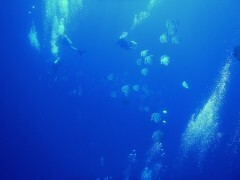 Depending on your certification and experience, you'll head out into the blue-green ocean for a fascinating dive. 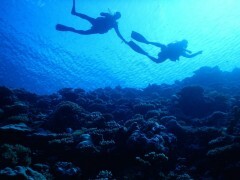 You'll be accompanied by an expert dive professional and will enjoy a morning out on the water. 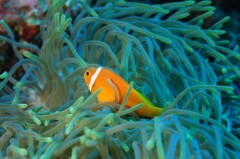 The Andamans provide a fantastic place for certified divers to go exploring. 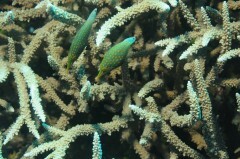 There are superb dive sites for every level, with vivid coral reefs and marine life. 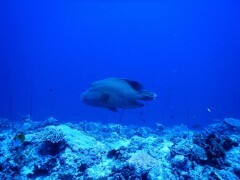 On your Fun Dive, you'll get to see Napoleon Wrasse, groupers, rays, sharks, barracuda, and lots more. 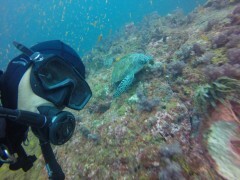 • Sign up for a Fun Dive in Havelock Island. 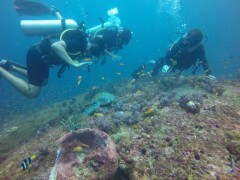 • Get a closer look at the coral reefs and underwater world on this Fun Dive in the Andamans. There is no pick-up for this Havelock Fun Dive. 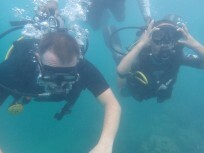 There is no drop-off for this Havelock Fun Dive. Eat a light breakfast before you report to the operator's dive shop by 07:00 hrs. You'll fill in the required paperwork and then head out for your dive. 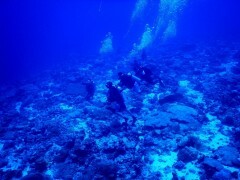 You'll be going to a dive site suitable for your experience, with a certified and experienced dive professional. After the dive is over, you'll return to shore. 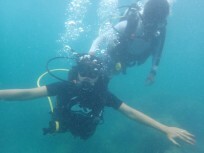 Your Fun Dive in Havelock Island ends here.